Chinese trade data disappointed in April, with imports and exports both plummeting by greater margins than expected. Exports are down 1.8% year on year, while imports fell a huge 10.9% – the 18th successive decline. 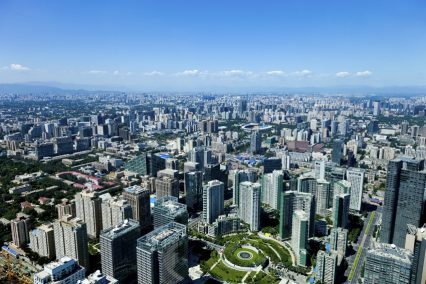 Domestic demand remains a massive concern for Beijing, which is trying to restructure the economy towards a consumption-based model. Soft trade throughout the region, where demand for Chinese goods is shrinking in line with respective disposable income, have hit exports hard. The same applies to markets further afield, with the US – China’s biggest export customer – importing 9.3% less than it did for the equivalent month of last year. Sales to the EU fell by 3.2%. The People’s Bank of China (PBOC) is hoping to introduce measures to boost exports, which may include some loosening of the interbank lending rates, which would in theory loosen banks’ purse-strings. April showed that the PBOC was able to maintain some control over its foreign reserves, with recent months showing a huge capital flight from domestic accounts. Capital Economics’ Julian Evans-Pritchard, however, remains sanguine and more bullish than most analysts on Chinese trade. He says: “Trade growth was always likely to slow sharply in April after the seasonal surge in March. More positively, the contraction in both exports and imports wasn’t as deep last month as it has been over most of the past year. In the first quarter of the year, GDP expanded by 6.7%, slightly below the 6.8% recorded in the last quarter of 2015. But some analysts say the “deceleration observed in Q1 is consistent with Chinese authorities’ willingness to tolerate slower growth under the ‘new normal’ approach, more detailed data suggest that the leadership might have used the old recipes— cheap credit, government support and investment—to shore up economic growth”. “The panel expects exports to expand 2.9% and imports to increase 1.9%, while the trade surplus will widen to US$657bn,” Focus Economics. Throughout the region, trade data has been slumping. Korea reported its 18th consecutive decline in exports last week, while Malaysia’s new data shows very minimal growth in the value of its exports. Malaysian exports grew by 0.2% in March, which beat the expectations of many analysts. Higher shipments of palm oil and electronic goods. Palm oil in particular showed a large increase (8.9%), with a number of other countries including Indonesia banking on the controversial commodity to add some value to their struggling economies this year. However, seasoned commodity watchers have warned that the inflated price is likely to be a result of last year’s super-strength El Nino event.